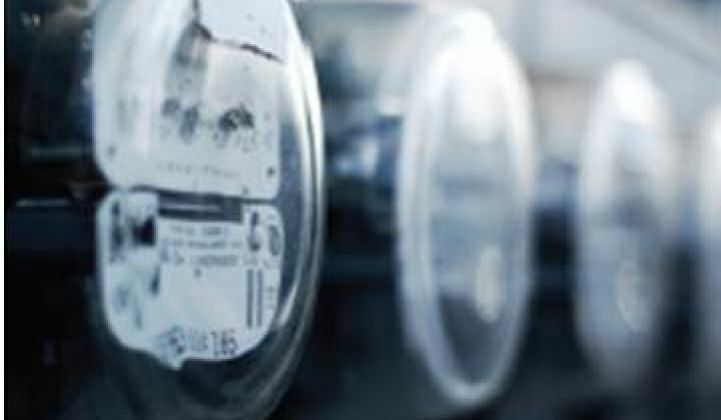 A fight over the future of net energy metering (NEM) in California is expected to be decided in a May 24 California Public Utilities Commission (CPUC) decision on the arcane question of how to define the NEM cap. It has become a battleground over NEM for investor-owned utilities (IOUs) and solar advocates. NEM, the solar industry’s key incentive in California, benefits some 99 percent of the state’s solar owners. It allows them to roll their meters backward for every kilowatt-hour they send to the grid (up to the point where their bills zero out). The return they get on the electricity they generate is the same retail rate they pay for what they consume. 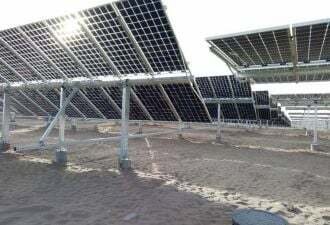 Net metering was instituted by California’s legislature in the mid-1990s. The initial 0.1 percent cap was set by the CPUC, which manages the IOUs’ monopolies, to balance the use of utility profits for the advancement of renewables with protecting utility shareholders. As demand for solar grew, the CPUC ratcheted the cap up. 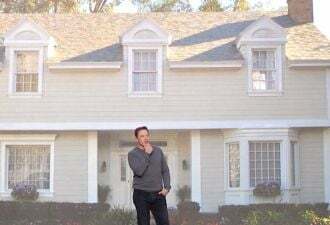 On April 11, CPUC President Michael Peevey issued a finding that “the IOUs are calculating this net metering cap contrary to the plain language and intent of the law,” Higgins said. 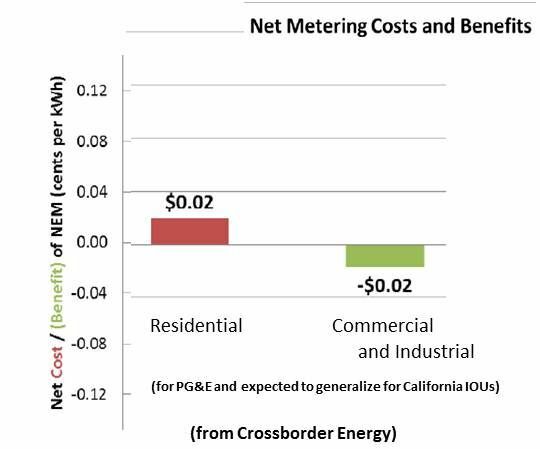 Though the CPUC will decide only how to define the cap, California’s IOUs have used the debate to question NEM. 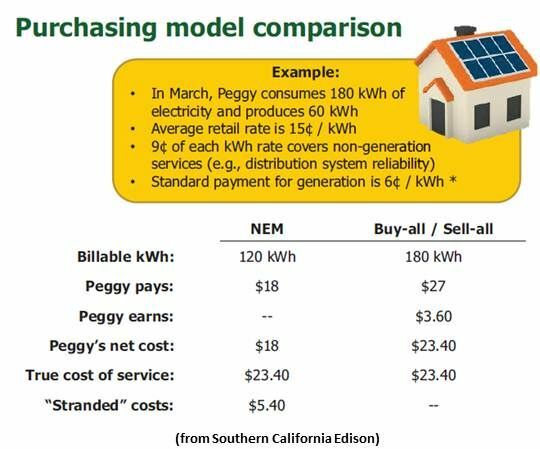 Instead of NEM, SCE would like a “buy-all/sell-all (BA/SA) model” in which customers pay standard retail rates and get some payment for every kilowatt-hour they produce. BA/SA, however, would reimburse not the retail rate but only the generation portion of the retail rate. Solar advocates strongly disagree. “The utilities’ proposals grossly exaggerate the costs and completely ignore the benefits” of residential rooftop solar, Higgins said.